Meal kits are assembled at MCFI before being delivered to communities affected by Hurricane Harvey. 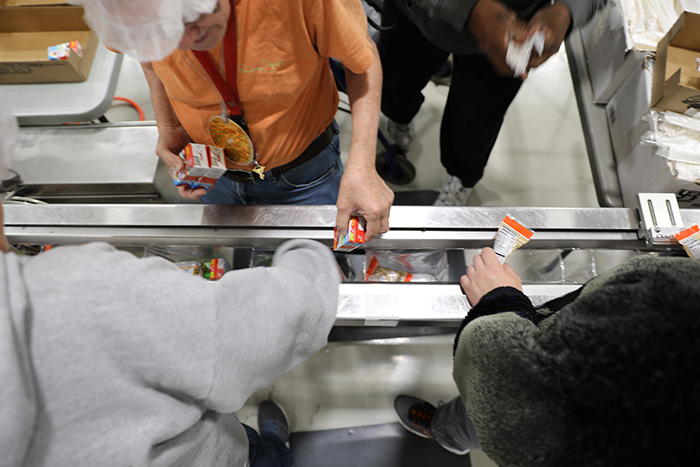 Clients work at a Food for Good packing line at The Milwaukee Center for Independence. When PepsiCo decided to provide one million meals to people affected by Hurricane Harvey in Southeast Texas, company leaders knew it would require many partners coming together — the PepsiCo Foundation, Food for Good, Frito-Lay, and multiple relief organizations. Client needs include physical and cognitive disabilities, mental and chronic illnesses, drug addiction and trauma. MCFI’s programs help them maintain independence and involvement in their communities. One way MCFI helps clients is through job training in the custodial and food service industries. For a year now, clients from 20 to 65 years old have been packing small runs of meals for Food for Good and for children in their own community. But the request to package 500,000 meals as part of PepsiCo’s commitment would be a challenge — and a learning opportunity, said Heidi Chada, vice president of employment and commercial services. So the first thing MCFI did was use this as a lesson about how others can be similarly affected, said Emily Hein, director of the company’s Forward Academy, which incorporates classroom work into clients’ training. And, while clients might not have been able to visualize such a vast number, they embraced their role in the one-million-meal project with enthusiasm. 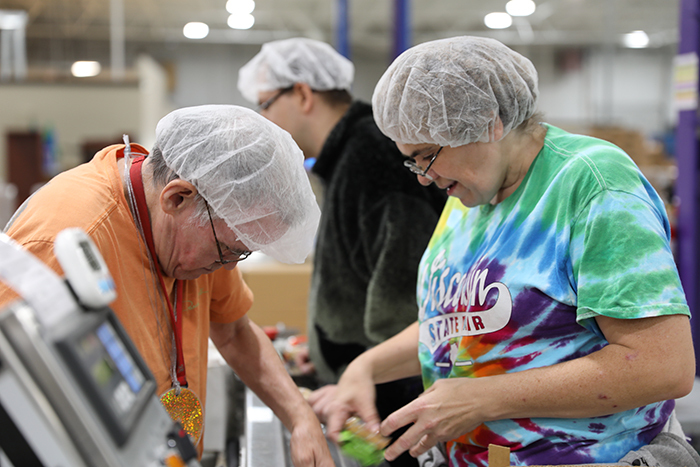 Wearing hairnets and big grins, they went to work to help people outside their own state. Asked if she had any other words for those who would receive meals she had helped pack, she said, “I love you. God bless you."